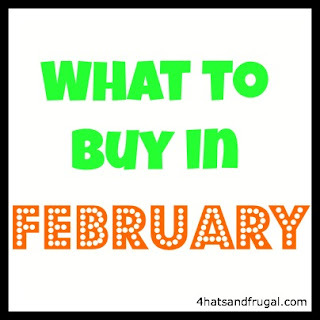 It’s the beginning of a new month, and a great time to keep in mind of all the great deals that will be popping up in February. Here’s a list, and explanation, of items that you could get at a deep discount. Now that football season is over, most of the fan apparel will be on sale, except the apparel of the winner of the Super Bowl (congratulations Ravens!). Buy up team gear now, and save for December to give as a gift during the holidays! This is also true for college teams, so if you have a high school student graduate this summer, it would be nice to get them some gear for their college’s team as well. Graduation gift is done! I mentioned purchasing this in my “what to buy in January” post, but February is a great month to purchase an air conditioner if you live in the southern states. This month is when those below the Mason-Dixon experience their true winter, so most stores will be putting air conditioners on sale. Make sure to check out sales during President’s Day for the best savings. February is the month of “love” so this would be a best time to look into jewelry sales. Whether you are buying this Valentine’s Day, or want to get a head start on Mother’s Day gifts, this would be the month to stock up. Make sure to remember the men in your life as well; cuff links will be at a great price and they are a great gift for prom, graduation, and Father’s Day. January is the month when everyone jumps on the fitness wagon and buys up necessary gadgets no matter the price. 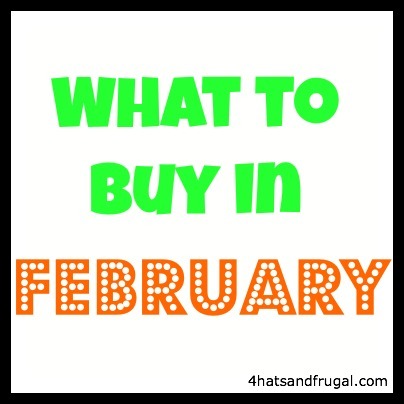 February is the month where those items that didn’t sell as well, end up on clearance. If you’ve been putting off getting into shape, this is the time to see what items are on sale and grab them for yourself. This also include fitness video games, so if you use video games to get into shape like I do, now is the time to get the ones that were released last year or even the year before. I’ve always found that the end of January and all of February yield the best deals for us on online clothing and accessories. Since it’s close to the end of winter, and near the beginning of spring, sites are trying their hardest to get customers to buy up their winter items. Deals on coats, hats, boots, and even jeans are running rampant. Also keep a look out for clearance deals on summer items. The pieces that didn’t sell at the end of Autumn will be at a ridiculously low price right now.